Over the next three days, we will be including a blog series by Christian DeVries who recently visited projects in Africa. Livestock has, in recent years, received a lot of bad press regarding the amount of methane that they produce, but methane can be captured and used for a variety of purposes. 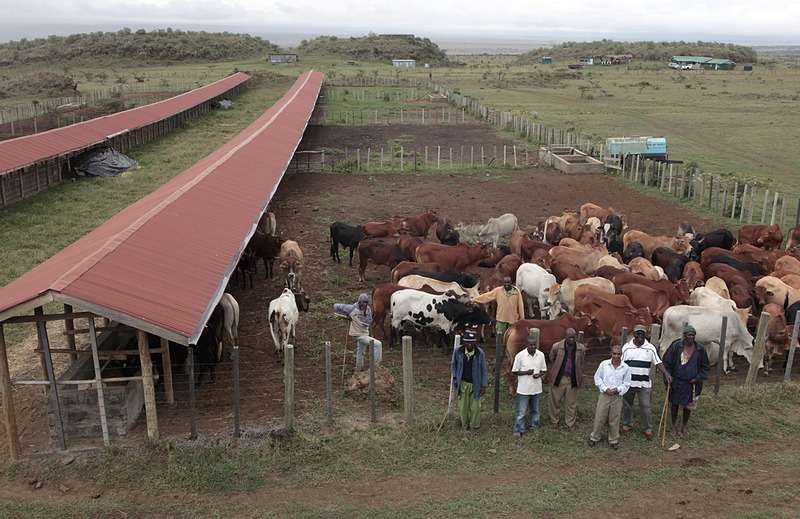 In Kenya's Rift Valley, on the outskirts of Suswa Centre, a small town in the heart of Maasai territory, Heifer International is working with this community of pastoralists to improve the quality of their cattle, reduce their carbon "hoofprint," and generate power that can be used by a rapidly-growing village. 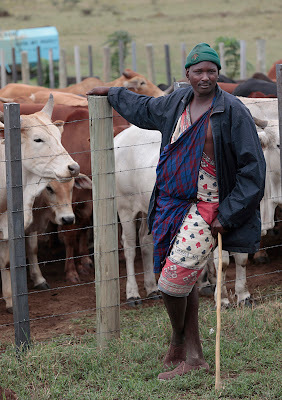 The Ramat holding center is an atypical project for Heifer, usually they provide animals to families in a direct effort to alleviate poverty and hunger, but here in Suswa Heifer provided funding for the construction of corrals, barns, and a large bio-gas unit. Herders were already bringing their cattle to Suswa, because they have the largest livestock market in the area. Some Maasai will travel 250km with their cattle, coming from Tanzania to sell at Suswa because it is close to Nairobi (just 80km) where the price of beef is high. Bulls that are brought here from so far away are usually thin and weak. Farmers could never get top dollar for their animals. The holding center that Heifer created allows the cattle to regain their strength and weight. After 3-4 months at Ramat the cattle are fat and rested, and can be sold for a better price. However, the Ramat project and its impact go far beyond simply providing farmers a place to sell their cattle. Be sure the visit again tomorrow to read about Heifer participants using bio-gas and water.